Dr. Mark H. Buzzatto is a practicing holistic, health care professional, educator, and consultant specializing in safe amalgam removal, cavity reversal, and nutritional support for all dental issues. He received his doctorate of dental surgery from Temple University and his certification in whole food nutrition from the International Foundation for Nutrition and Health. 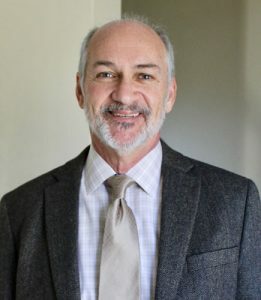 He is a member of the International Association of Oral Medicine and Toxicology, The Weston Price Foundation and the International Foundation for Nutrition and Health, where he also serves on their advisory board. He speaks locally and regionally on the important association between diet, nutrition, dental health, and overall health. The world is still under the impression that tooth decay is caused by eating sweets that stick to the teeth and encourage bacteria to grow, producing acids that dissolve enamel. We now know that this is not the case. Eating processed sugar affects the hypothalamus in the parotid gland of the endocrine system. The hypothalamus sends a signal to cells in the pulp of the teeth which tells them to stop pumping. The teeth have pumps in them that send a mineralized liquid through tubules all the way out to and through the enamel. It is a healing, cleansing fluid that protects the teeth and it always comes from the inside out. About thirty to ninety minutes after eating sugar, or any processed food, because processed foods have high sugar content, the flow of liquid in the tooth pulp simply stops, or, even worse, it may reverse. If the flow reverses, the pressure gradient that is created causes whatever is on or in the tooth to get sucked backward and the tooth loses mineral content. Since sugar effectively turns off the natural remineralization process in teeth, it is better for us to have sugar occasionally rather than every day. It doesn’t matter how much sugar a person ingests, because even a little bit causes the remineralization process to shut down. At the Loma Linda Dental University, Dr. Steinman, a dental researcher, and Dr. Leonora, an endocrinologist, did over a hundred studies to support this assertion. They created rampant tooth decay in pigs simply by injecting sugar into their stomachs. No sugar was in the feed and sugar was never in the pigs’ mouths or near their teeth. Dr. Buzzatto recommends what he calls the “Fun Food Day” diet to his patients. The concept is that one day a week you can eat anything you want, as much sugar as you desire and whatever junk food you prefer. Of course, moderation is best, and it’s better not to assault your system. But if you’re going to assault your system, it’s better to do it one day a week than a little bit every day. This way, the body has a chance to regroup and heal, and the pulp of the teeth keep pumping most of the time. Dr. Buzzato understands human nature—how it seems everything we really like isn’t good for us. Since abstinence and deprivation don’t work in the long run, the Fun Food Day helps us be healthy and happy.